Drivers seeking a luxurious new crossover in Morris County have quite a few options to choose from, but we’ve yet to find one that truly competes with the 2017 Acura RDX‘s utility. Built as a luxury crossover for the driver who is always on the go, the RDX has to be versatile. From its 60/40 split-folding rear seat to its spacious cabin to its towing capacity, the RDX has your back driving around Denville or venturing out on a family road trip. See the specs that help set it apart below. When you need more cargo room, just fold down part or all of the rear seat. The RDX switches from people to cargo in seconds. 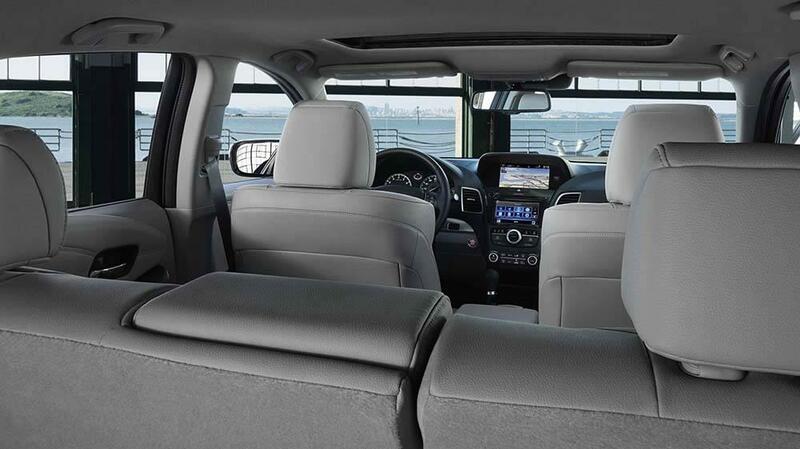 It's one thing to have five seats, but it's another to seat five passengers comfortably. Stretch out in the 103.5 cubic feet of the RDX. The 26.1 cubic feet should be enough for everyday cargo, but the RDX is ready for more, expanding to as much as 76.9 cubic feet. Keep your wallet, smartphone, and other essentials within reach thanks to the convenient center console of the RDX – don't worry, a USB charging port is nearby, too. Like the 2017 Acura MDX, the RDX achieves a fusion of luxury and practicality that few vehicles can manage. In addition to the utility features and specs above, this crossover has a wide variety of accessories to adapt to your needs. Does your family venture north to hit the slopes in the winter? This crossover’s roof rail attachments can secure your skis and snowboards until it’s time for fun, and in the warm weather, the RDX has kayak, surfboard, and bike racks available too. When you need more room than the RDX has inside or on top, just hook up a tow hitch; this crossover can pull as much as 1,500 pounds. The best way to discover the convenience of the 2017 Acura RDX utility features is to experience its specs firsthand. Contact Acura of Denville today or drop by our showroom at 3109 Route 10 East to see why so many Morris County residents are driving this crossover home.